I’m sad to say that Robert (Bob) W Kellar passed away in his 90th year on May 24. You may remember that he played tuba for many years in the Concert band. He has been cremated and there is to be a memorial at a later date as yet undetermined. You can post pictures or condolences at simplertimes.com funeral home. 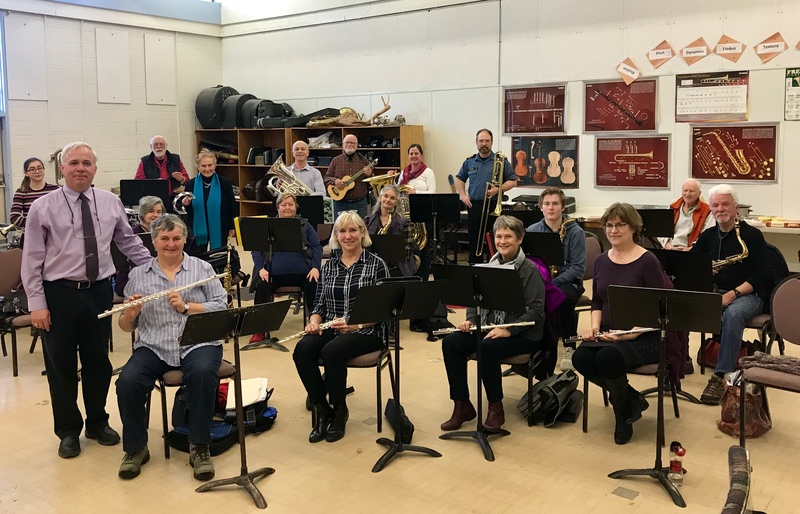 Apologies if you already received this, I had a request to post it in another place than http://livemusickingston.ca/bassoon-news-events-and-tidbits/. The coming Victoria day weekend will mark a couple of special events and you are invited! Friday, May 18 will be the final concert in our Happy Hour Sound Bytes 2017-2018 Season. In this concert we appeal to our bass with me playing Contrabassoon, Chris Alfano playing bass clarinet and Michel Szczesniak joining us on the piano. Come get Low! Sunday, May 20 from 2-5 join Chris and I for a special celebration at 476 Victoria Street. After much thought and a couple of (pleasant) occurrences, Chris has decided to announce his retirement from LaSalle at the end of June 2018. While he will definitely miss the band and strings programs, he has some new opportunities to teach and learn and is looking forward to pursuing them further. Hope to see you all on the 20th! On Tuesday, May 8, at the Tompkins Funeral Home on Davis Dr, visitations will take place between 11 a.m. and 1 p.m. with a short service at 1, followed by a luncheon at the Funeral home. It is with great sadness that I have to pass on the news that Ray Croxford passed away this morning. I spoke to Patricia and she says that, once arrangements have been made, there will be a service at the Gordon F. Tomkins Funeral Home. I will update with details as they become available. I will always remember the joy and good humour with which Ray approached everything he did in life. He will be missed.